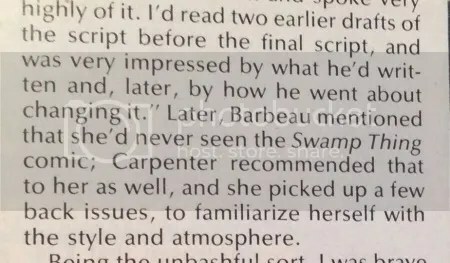 features part 2/3 of On The Set of Swamp Thing. 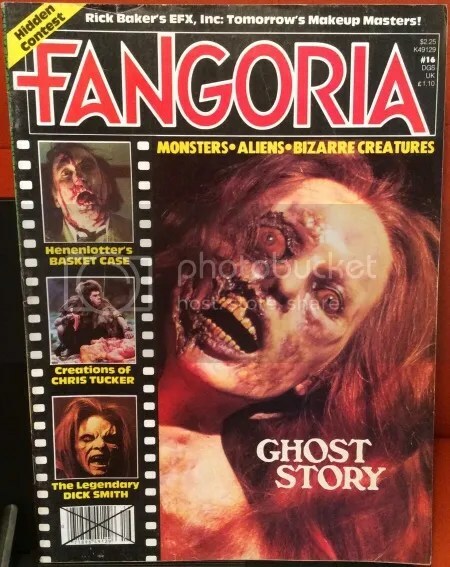 Part 1 can be found in Fangoria 15. 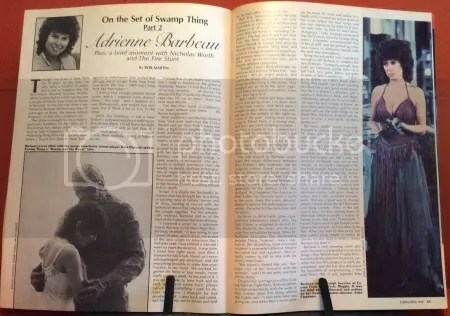 Barbeau recalls her stunts and the hard work that went into her role. 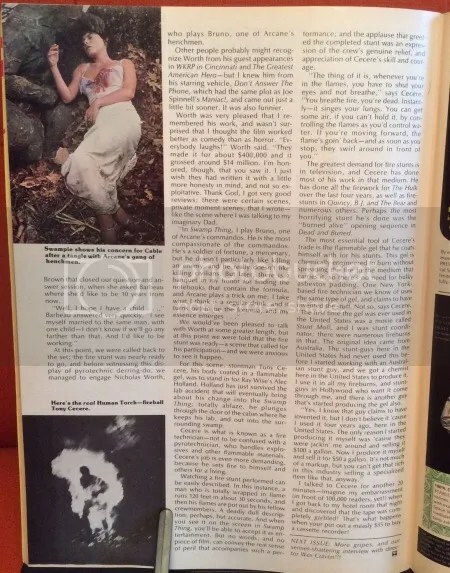 As the article implies and the movie reveals, there are a number of differences between the movie and the book. 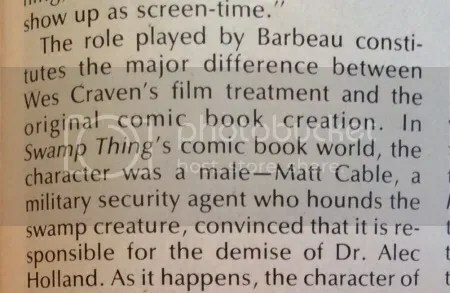 It would be fun to know which issues Barbeau read for research. Actor, Nicholas Worth has a brief interview while waiting for the lab explosion scene to be filmed. 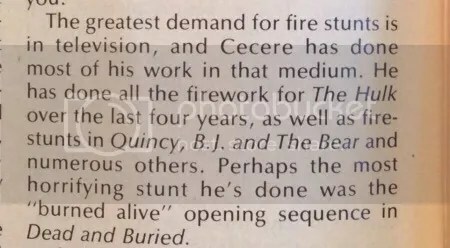 Stuntman, “human torch-fireball” Tony Cecere! 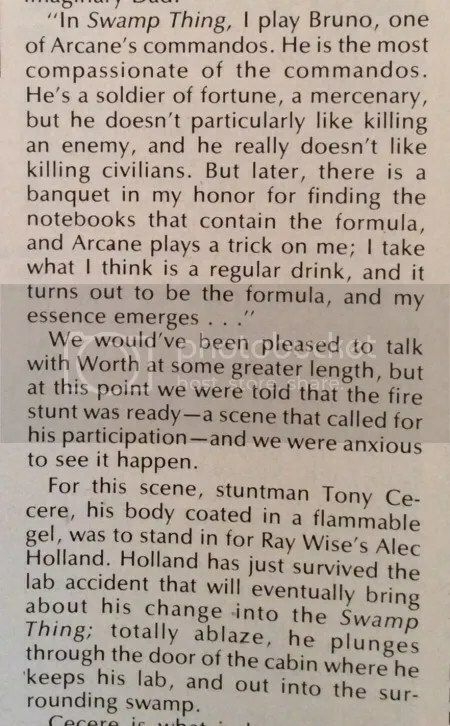 The dangers involved in stunt work, especially fire related stunts is intense. 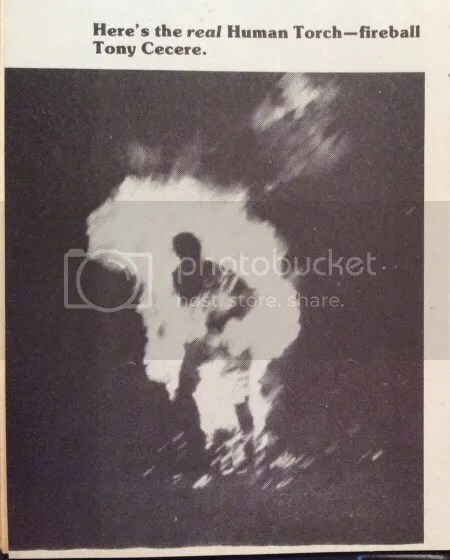 Below is a great photo taken from the set. I haven’t come across the particular photo before, it’s pretty great. 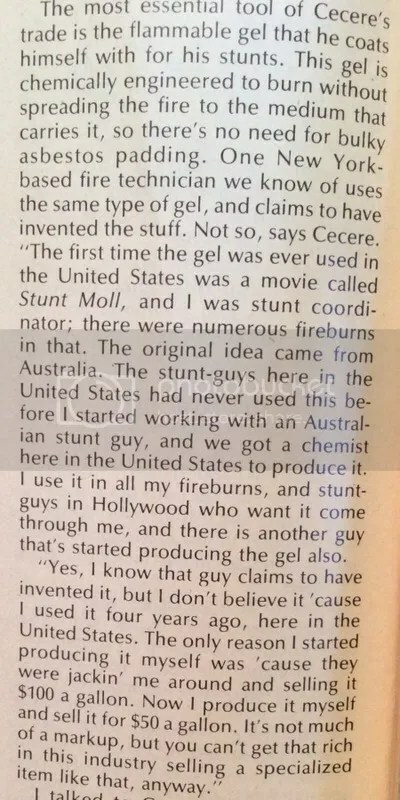 Cecere explains the creation of the flammable gel used by professionals and how he was involved in the production/distribution of it in the States. 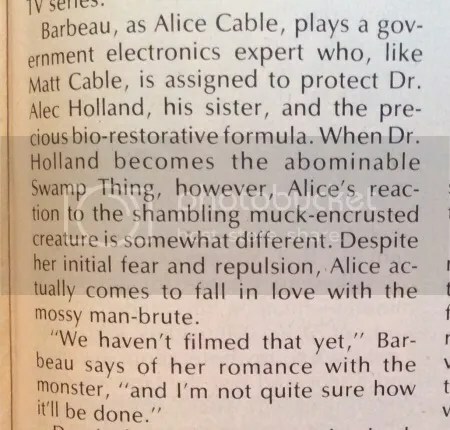 Pretty interesting stuff. 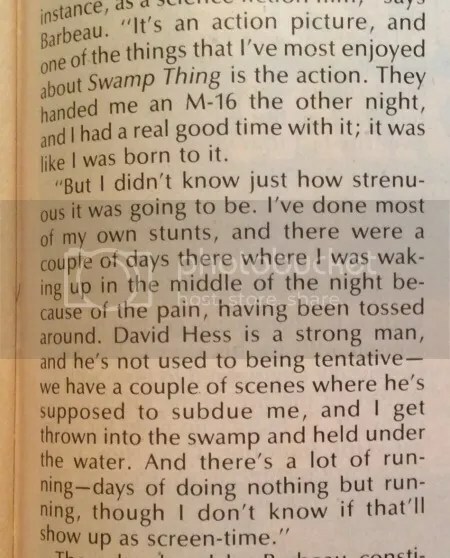 He even helped to provide the materials to stuntmen at a fair cost.